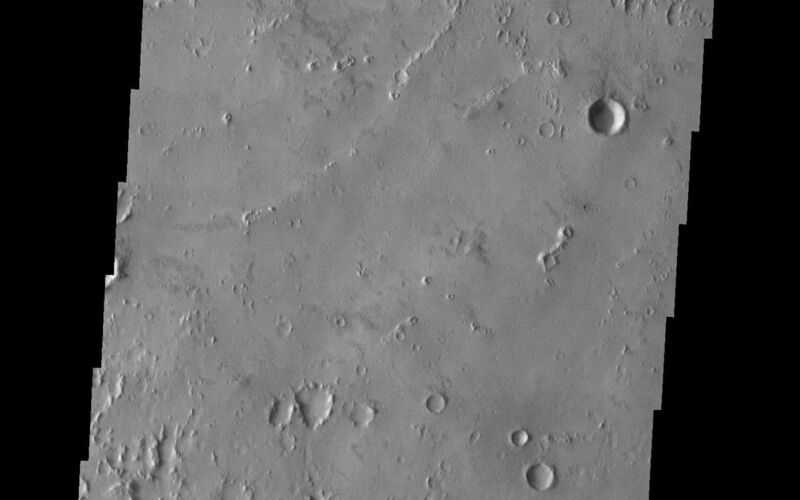 Small mounds with depressions at their summits follow curvilinear trends in this portion of Isidis Planitia. While their origin is still unknown, some scientists believe that these were formed by the interaction of lava and ice. 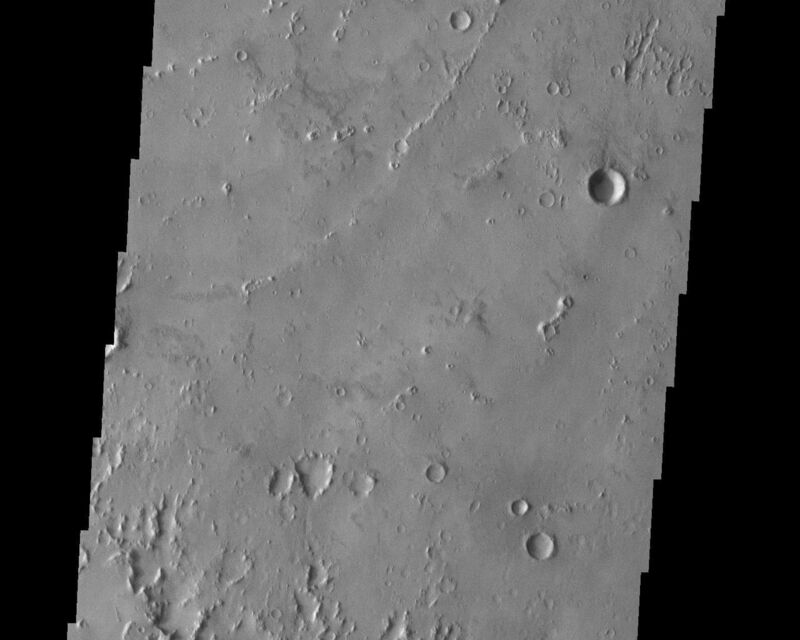 The pitted terrain in the lower portion of this image may be secondary craters. Image information: VIS instrument. Latitude 11.8, Longitude 94.7 East (265.3) meter/pixel resolution.